Early on in our marriage, Bob and I had a dream of having a home at the beach. We both worked and had stressful lives. After living in GA for 24 years and raising our two boys we finally decided the time had come to make our dream happen. We started looking for a place and it had to be on the Gulf because of the beautiful beaches. 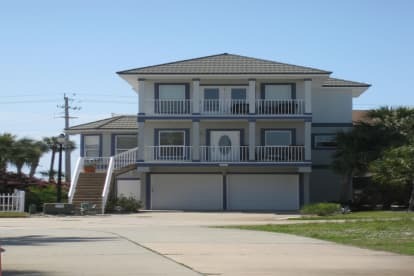 In 2002, we bought our home at Navarre Beach. We choose Navarre Beach because of the low-key life style. We wanted a place with low traffic and less commercial development. We sold our house in GA and moved to Navarre. We loved it and our new life style. In 2005, we found out that we were expecting our first grandchild. We decided to buy a small place in GA, where both our sons live, and split our time between GA and FL. After about a year we decided to share our home with others. We do not use a property managers and I do all the rentals myself. It gives me a chance to talk to our guest and decide if our home is a good fit for them and us. We have enjoyed getting to know our renters and I think they like the fact that since we use the house so much ourselves that we offer many things that you do not find in a regular rental property. We enjoy having wonderful people come to our home and enjoy it with their families. We want them to feel like for the week or month that it is their home and they feel comfortable. We work very hard to make sure that everyone that comes and stays at our home have the best vacation possible.